Kenza is a Qatar-based company that offers all type of services related to Attestation and Document clearing. We ensure reliability and confidentiality to our customers. The customers can contact our head office in Qatar and other offices located in India. 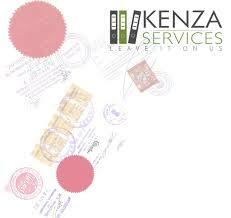 They can get their attestation process completed without any inconvenience in a very short period. And also remember our commitment to our clients does not end after process completion. Document clearance is done without any hurdles from both government and non-government departments.